There are many people who live with ‘hidden disabilities’ or ‘invisible illnesses’ that you might not recognise simply by looking at them. Having a hidden disability can be difficult for a number of reasons. Not everyone wants to have to go through the process of telling each person they meet about their problem or condition. Some people may feel uncomfortable about telling others about their disability, and may keep quiet or not ask for help as a result. In some situations, a lack of awareness can lead to others doubting them or demanding proof - such as when using accessible facilities (e.g. toilets or changing rooms) or requesting a priority seat on transport. Progress is being made, however, in recognising hidden disabilities in shops and public spaces. 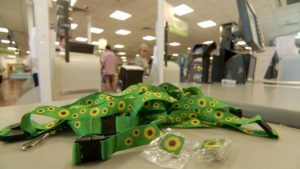 Recently, Sainsbury’s have begun expanding the number of stores that offer customers the opportunity to collect and wear a ‘sunflower lanyard’ or pin badge. These are designed to help staff recognise that someone wearing one may need a little extra help. The sunflower lanyard scheme was started at Gatwick in 2016 and has been adopted at other airports including Heathrow. Some airlines, such as Virgin Atlantic, also offer support for people who require extra assistance. 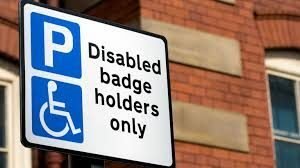 In 2018, it was announced that the Blue Badge scheme for parking within the UK will begin accepting applications from people with hidden disabilities. Previously, Blue Badges were only available to those with physical disabilities. This change will allow people who have hidden disabilities to also park in disabled bays. Neurological problems are among the many conditions that can cause a hidden disability. This week, we are raising awareness about the 1 in 6 people within the UK who are affected by a neurological problem. If you would like to find out more about our Brain Awareness Week campaign and how you can help us raise awareness of hidden disabilities, visit this page.